Obituary for Frances (Wells) Isenberg | Hardy & Son Funeral Homes, Inc.
Frances Isenberg, 91 of Oakland passed away April 15, 2019. She was born in Barren County to the late Wesley and Virginia Wells, she moved to Warren County as a teenager. After graduating from North Warren High School, she married the late Earl B. Isenberg upon his return from WWII. She lived the role of a farmer's wife and continued to do so even after her husband's death for another fifty years. In addition she worked as a school bus driver and school cafeteria worker for Warren County Schools and volunteered as 4-H leader for many years. She is survived by two children, Bobby Isenberg (Rita) of Oakland and Joyce Wiley (Ben) of Largo, Fla.; three grandsons and five great grandsons. 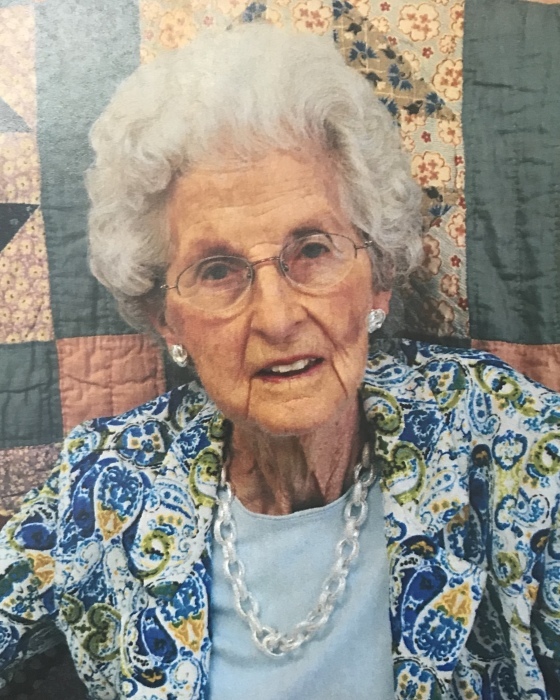 Her church work as a lifelong member of Smiths Grove United Methodist Church included the making of thirteen quilts given to the Mary Kendall Home for teen girls. She was also a member of the Methodist Women and the Smiths Grove Homemakers. Funeral service will be held at 1:00 p.m. Saturday at Hardy & Son Funeral Home, Smiths Grove Chapel with burial in Smiths Grove Cemetery. Visitation 10:00 a.m.-1:00 p.m. Saturday at the funeral home.